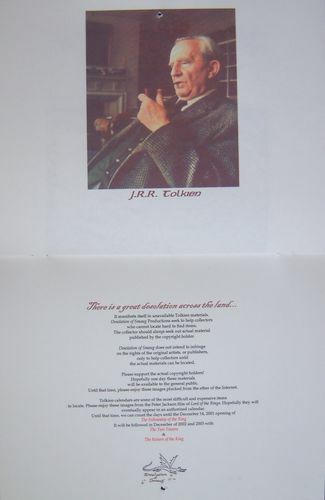 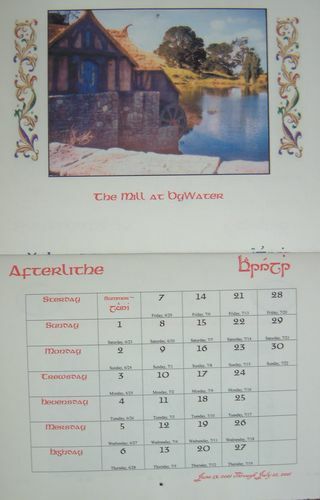 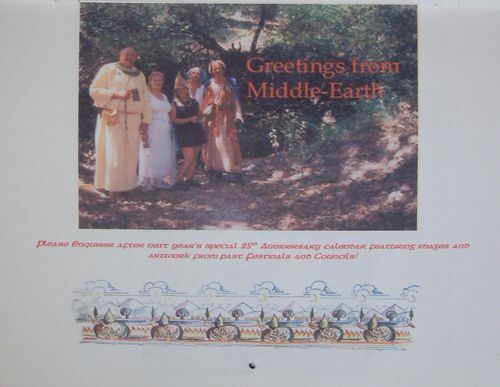 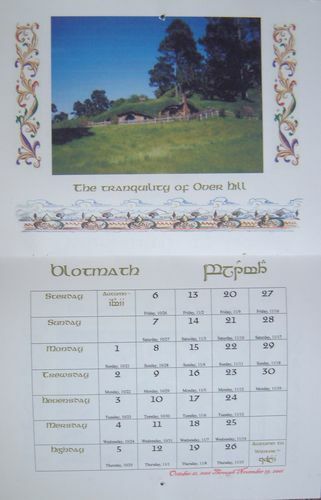 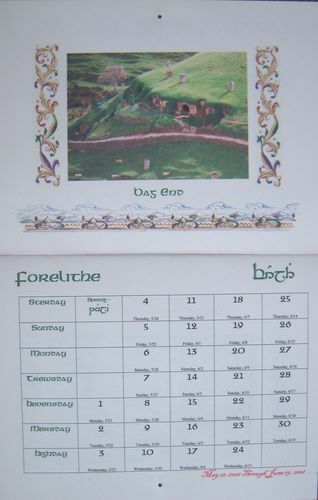 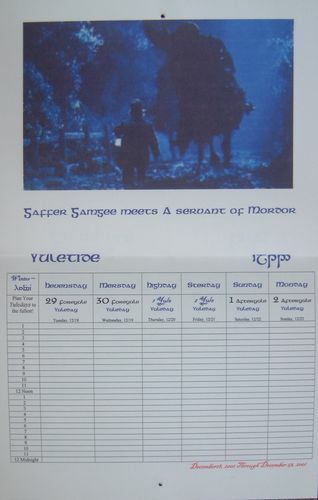 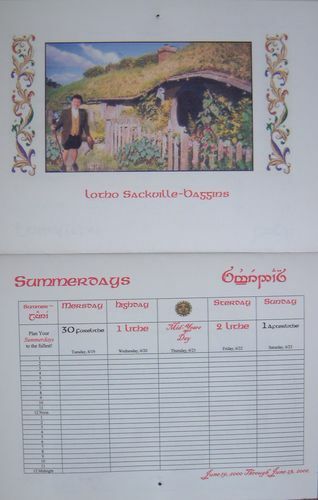 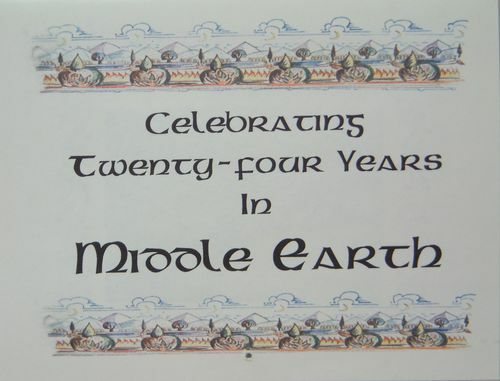 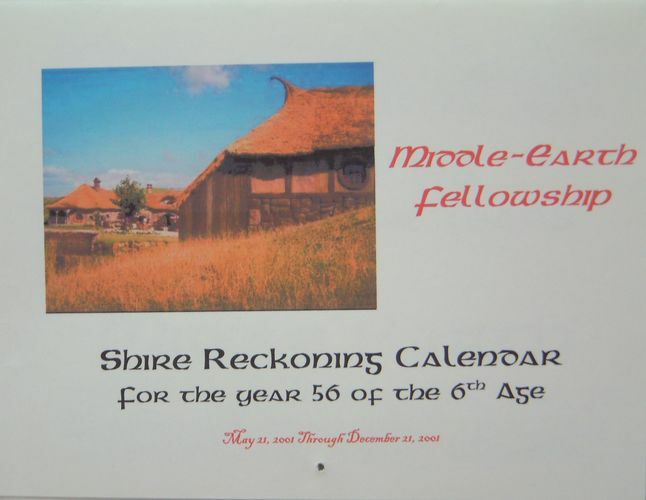 "Middle-earth Fellowship Shire Reckoning Calendar for the year 56 of the 6th Age" Only a few societies have created calendars using the Shire Reckoning (or any other) format. 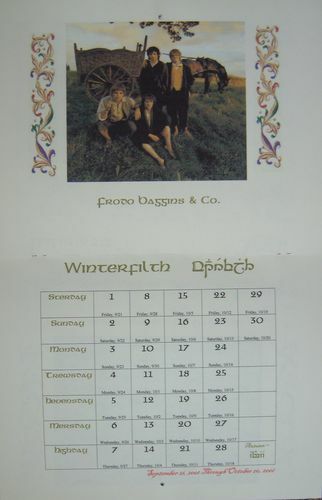 This is one of the few SR calendars in my collection. 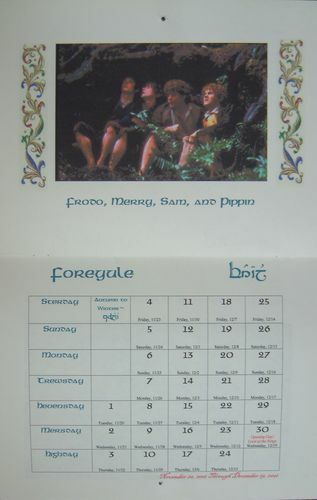 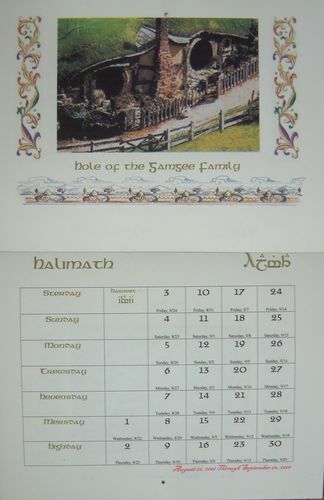 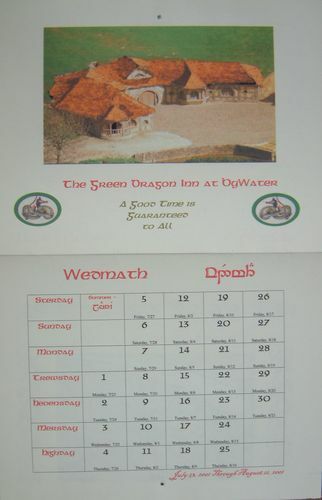 It is a rare calendar; only fifteen were created for various members.